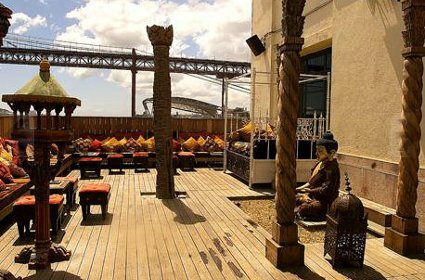 A favorite haunt of Lisbon celebrities and VIPs, the Buddha LX Bar is easily one of the most ornate and traditionally designed sites in the city. It is a glamorous, yet comfortable space that represents a blending of the classic and the modern. 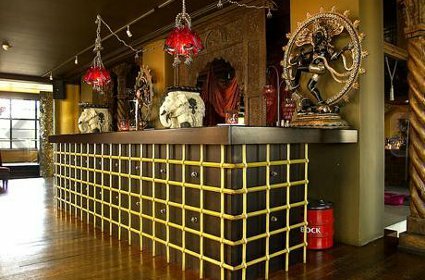 The oriental influence is quite visually stunning, with soaring columns of wood, decorated in the traditional colors of red and gold. The furniture inside the restaurant is all wood, with earth tones and ochre color schemes prominent. Meals are served on low tables, with sofas and leather floor pillows, all done for the esthetic effect. All around are Buddha statues of varying sizes, creating a truly peaceful environment. 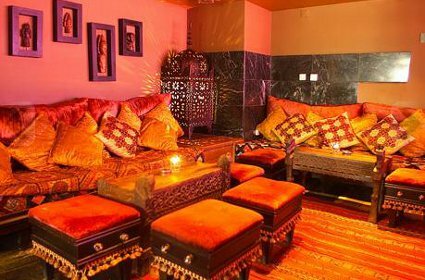 Private booths have the look of a Buddhist shrine, promoting quiet talk and a loving experience. The lighting throughout is very soft and warm and when you move from the dining area to the lounge, the change of setting is so subtle, you may not be aware of the change right away. The lounge follows the color scheme, but in a more muted tone, in keeping with the tastes of its designer, Carlos Viquera. 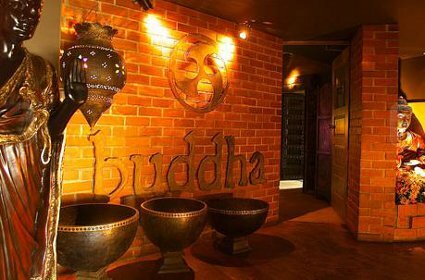 The food at the Buddha LX is in keeping with the theme, light and delicious dishes that represent a fusion between Oriental and European cuisines.